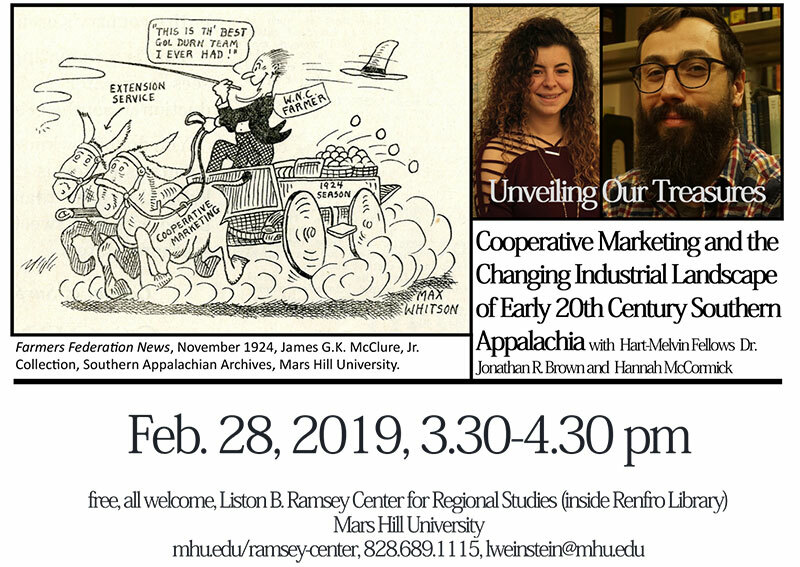 Join Hart-Melvin Archival Research Fellows Professor Jonathan R. Brown and student Hannah McCormick as they give us a glimpse into life in Southern Appalachia and the changing industrial landscape of the United States. Their research has focused on using early 20th century Southern Appalachia as a case study to explore the impact of cooperative marketing and antitrust exemption. Professor Brown, with support from McCormick, has produced an article that uses real-world examples from US history as an undergraduate introduction to the concept of industrial organization. Farmers Federation News, November 1924, James G.K. McClure, Jr. Collection, Southern Appalachian Archives, Mars Hill University.